Did you already try the Salzburger Nockerl? In our story you can read why they are so important in Salzburg and what they are for and of course, where you can taste the best Salzburger Nockerl in the city and how to cook them by yourself. Salzburger Nockerln is a sweet surprise in Salzburg. It is a speciality that comes from Salzburg and can be found almost in every restaurant in the center of the city. It is being served always fresh and is a dessert. Just be aware that the restaurants always need to make it fresh and that it will take around 20 minutes to make it. It is normally served for 2 people but can be easily eaten by more than 2 people. The portions are normally very big. It is said that it was developed by the girl friend of the prince archbishop Wolf Dietrich von Raitenau (a very interesting arch bishop who had with his mistress 15 children). She wanted to make something special to her special friend and developed a special dessert that show the three snowy house mountains of Salzburg: Mönchsberg (where the fortress is on top), the Kapzuinerberg (with the kapuziner abbey) and the Gaisberg (nowadays with a radio and TV antenna on top). Some restaurants offer the Salzburger Nockerln also for 3-4 people and then there is a fourth mountain in it: The Untersberg mountain. But this can be ordered only in selected restaurants. The normal and more traditionally way is with the three peaks. 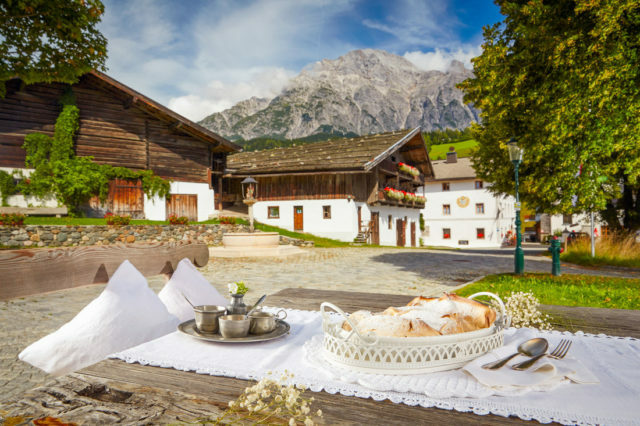 Each restaurant has its own recipe but the basic ingredients have to be: sugar, egg and flavor in order to be called the original Salzburger Nockerln. Some restaurant add also raspberry sauce, or increase the amount of vanilla sauce. 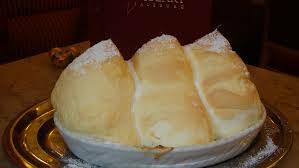 So once you are in Salzburg please try this sweet dessert. It is a highlight and will sweeten your stay. The most original and our favorite place to eat the Salzburger Nockerln is the Restaurant at the Hotel Elefant. So enjoy Salzburg and it’s specialities with Be special Tours.